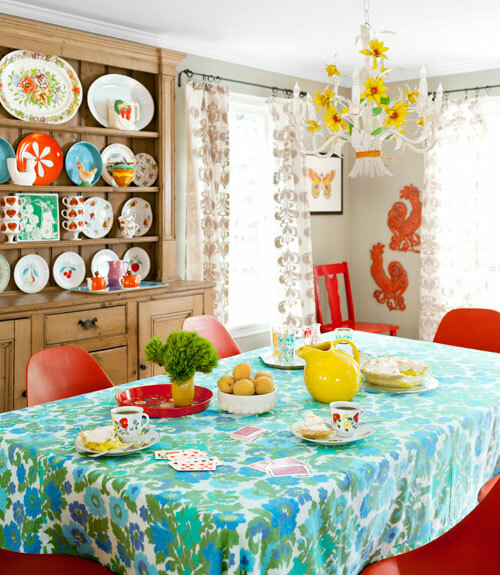 Mix and Chic: Home tour- A textile designer's colorful home! Textile designer, Erin Flett pulled together her Maine home using many colorful secondhand finds, bargains, hand-me-downs and textiles from her own line. 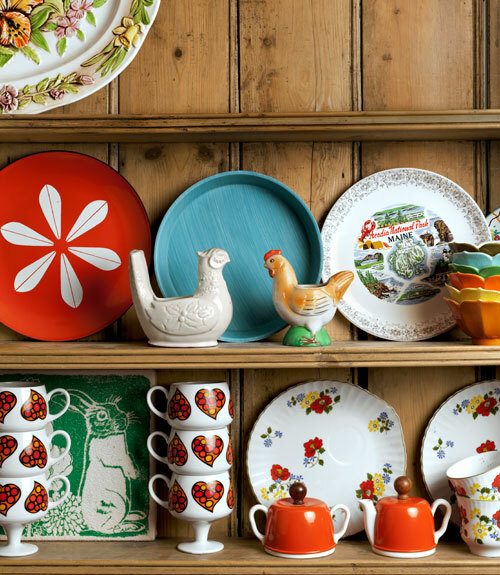 Let's take a look at her cheerful, budget-friendly home below! I really enjoyed checking out this charming and cheerful home. 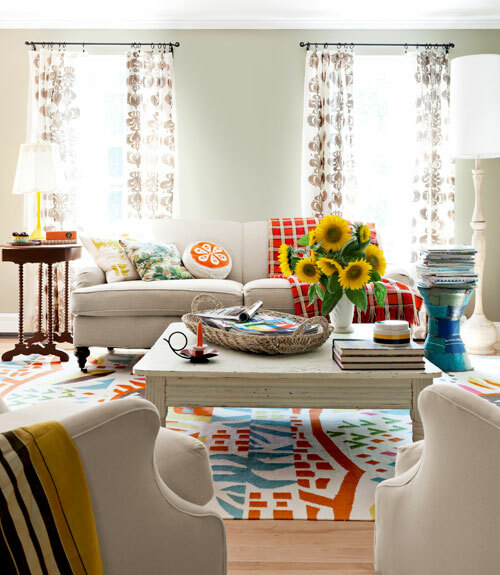 The bright, happy colors and layering of patterns certainly put a smile on my face. Do you enjoy touring this home as well? Which room is your favorite? It is darling! Love the use of bold colors over neutrals! congrats on winning a Rejuvenation gift card! Don't those sunflowers just bring that first room alive Jessie! love the living room and dining room!